A friend of mine grows spinach, cherry tomatoes and herbs in a recycled old claw foot bath three metres from her back door. She lives in an old redbrick railway cottage with not much space in her backyard to grow vegetables, especially as two large trees tend to overshadow the yard. There are few places where the sun can flood seeds and seedlings with precious warmth. So this bath became particularly useful as in the initial stages she could move it around to access the best spot while it is still empty and light. Just one question: would the plughole provide sufficient drainage? (just joking). Line the tub with gravel. Inquire at your nearest nursery or hardware store for soil that would best ensure proper drainage. The most valuable element your vegetable bathtub will contain is compost and perhaps the addition of peat moss if you wish. Mary takes recycling seriously. Next to her bathtub garden is a large green JoJjo tank with an inflow pipe connected to the the gutter on the roof. 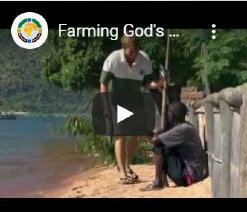 This water is particularly useful to water her vegetable garden during the dry season. Given her penchant for recycling I’ve wondered whether bathwater could be used to water her vegetable garden? With increased costs of water in cities and towns being so high, it was worth exploring the possibility, so I read through comments related to recyling bathwater on a several sites. Overwhelmingly gardeners’ experience reveals that soapy water (except anti-bacterial soap) does not damage your vegetable plants. Many comments claim that their vegetables actually thrive on it. Personally, I give Margaret Roberts the benefit of the doubt. 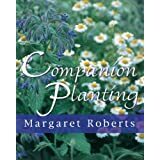 In her book, “Companion Planting“, she includes a number of recipes combining herbs, water and Sunlight Soap powder to use as sprays. They soapy element allows a concoction to stick to plants.